How will you make your money last as long as you live? That is a question that many people ask themselves who are contemplating retirement. Some people are very fortunate and will have pensions from their employer that kick in when they retire and will be payable as long as they are alive. Unfortunately consumers who fall into this category are in a small minority. 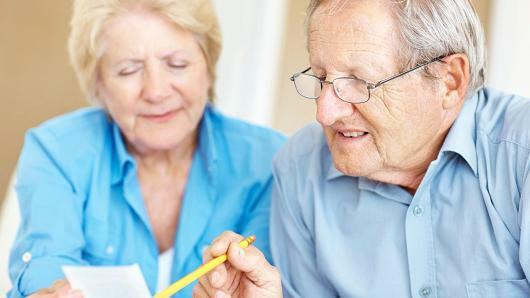 Most of us must rely on our savings, possibly an old age pension and Canada pension in Canada . The United States has similar social plans. What many people do not realize is that these pensions are not sufficient to live on and you must have savings or company pension to provide you with the proper level of income that you feel you may need. If you have not retired , you may still have time to save enough money to enhance your retirement. In order to answer the question of how will you make your money last you need to know how long you need it to last. There are many assumptions you can make and you can find information from various sources that will help you gather this information to calculate your income and also how long your savings will last. The premise is to balance income with expenses during retirement for longer than your statistical expected life time. Here is some of the information you will need. – You need to make assumptions about the average inflation rates as well as your income from your savings, usually in terms of a percent interest rate of income. There are several programs available that you can plug in these variables to help you calculate how long your money will last. Examples include Quickens Income Retirement Planner. This program and others like it will walk you through the exercise of entering the above information and even help you determine your expected life span. The out put can be quite enlightening, providing you with information about how long your funds will last, based on your assumptions and then provides an opportunity to change various variables to perform sensitivity analysis. If you first find that you are coming up short and will run out before your expected life span ends, adjust some of the assumptions to see what needs to change in terms of desired income, retirement age, amount of your savings, etc. The next step is critical and can have a huge impact on your life. As you adjust the variables, it is important to be realistic because if you are not, you may end up with a rude surprise later in life. By playing with the variables you may quickly see what you have to do to ensure that you have sufficient funds to last as long as you need. For example if you decided to retire at age 55 and find that you are coming up short in income in later years, adjust the retirement age and see what the impact is. Retirement age changes can be dramatic and can make a huge difference in your savings. Another alternative is to retire at age 55 as planned, but then work part time to supplement your retirement income. Inflation rates and interest income rates are another significant assumption that you will make. Small changes in inflation can really impact your outcome. The point is if you play with the variables you will begin to understand what you need to do to endure that you can retire and life in the lifestyle that you would like. Unfortunately many people start this analysis a year or two before they retire and they then get a rude surprise. They experience a serious change in life style and cannot do some or many of the things they had planned during retirement. Regardless of when you develop your plan, once you have gone through this process, develop a plan to meet your needs and achieve the goal your are aiming for. By calculating whether you have sufficient funds for retirement you can then take the steps needed to make sure you will be comfortable. Develop your plan, follow the plan and re-evaluate your plan at least once per year. Start early in your life and adjust the plan as life throws various curve balls at you. By following these simple steps you not only will know how you will make your money last, you will virtually guarantee your retirement objectives. This entry was posted in Retirement and tagged Investment Diversification on 2010/07/21 by ernie. This is a really good article! No one is trying to sell me anything , just common sense about retirement planning. I am so tired of these so called retirement planners who all they really want to do is sell you a mutual fund! Good job!